This picture shows part of the old Clark-Porter paper mill on old Bath Island, now Green Island. It was taken on a copper plate july 19, 1853, by P.D. Babbitt, from which plate it was copied by Orrin E. Dunlap. 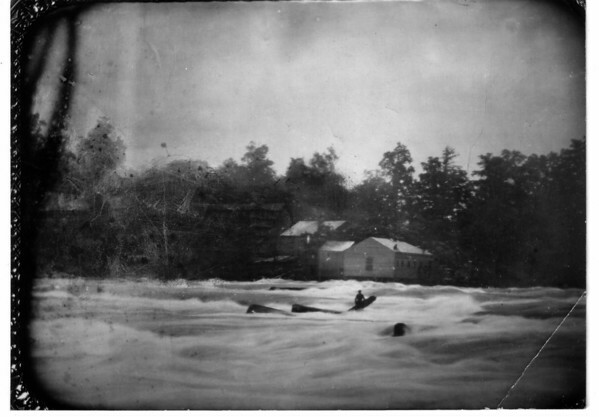 It shows Avery on the rock an log that notable day, when the entire population worked all day to rescue him with out success and he was swept over the American Falls about 5pm.